If you still haven’t seen one of the most epic star turns of the year, here’s some good news for you! 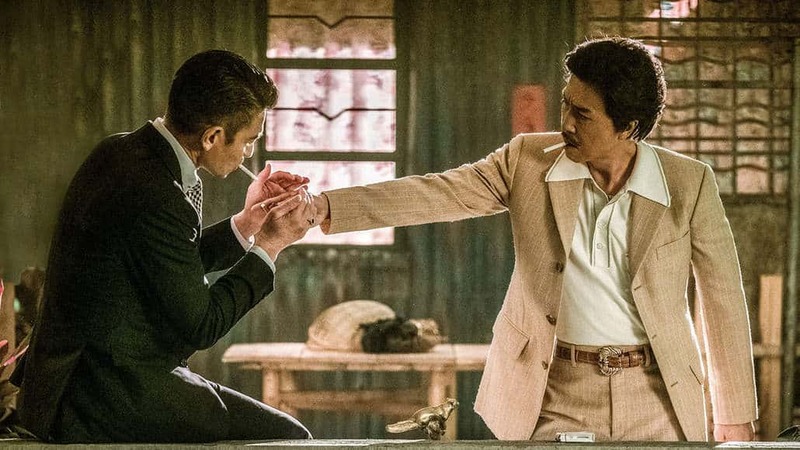 Well Go USA will be releasing the Donnie Yen – Andy Lau gangster action-thriller Chasing the Dragon on Blu-ray and DVD on January 23, 2018, carrying forward the Texas-based distribution label’s efforts to bring the best of Asian cinema to fans across the world. Directed by Wong Jing (Color of the Game) and Jason Kwan, the film features Yen in the role of an illegal immigrant in British-ruled Hong Kong of the 1960s, a corrupt center of brutal underworld rivalry and shady cops. Armed with his combat skills and sheer pluck, he bulldozes through his opponents to emerge as the ruthless dictator of the Hong Kong drug empire. Working with him is the corrupt Chief Detective Sergeant Lee Rock, a role Andy Lau reprises from a couple of earlier movies. As law enforcement gets tougher, and Rock retires, Yen’s drug lord finds it tougher than ever to keep his throne. Chasing the Dragon also stars Kent Cheng (Ip Man 3), Philip Ng (Birth of a Dragon), Philip Keung (Shock Wave), Michelle Hu (Once Upon a Time in Shanghai) and British actor Bryan Larkin in prominent roles. The film, which was released in China and some other parts of Asia in late September and has only seen limited release in the US, has garnered particular acclaim for Donnie Yen’s career-best performance as the gangster Crippled Ho, based on the real life criminal Ng Sek-ho. Add to this great production design, a thrilling music score, and stunning action sequences, and you have a package that lives up to the hype generated by a Yen-Lau pairing.